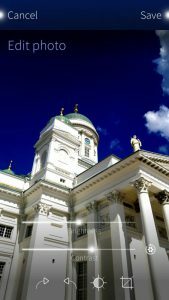 Sailfish OS is a unique venture. In the world of apples and androids (and closed down windows! ), they started their journey with an intention to bring something fresh on the table. 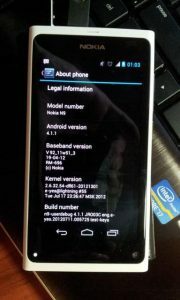 Back in the days, I was really amazed to see the Nokia N9 in the hands of my brother. We two were very naive, resources were minuscule – but these couldn’t stop us to run ‘hacks’ on the phone running MeeGo. When Jolla announced Sailfish OS as the spiritual successor of MeeGo, it was a moment of adrenaline shock! In the early days of Sailfish OS, I used to play a lot with it on Nexus 4 and another legend, OnePlus One. Unfortunately things went south and the much anticipated Jolla Tablet never came. 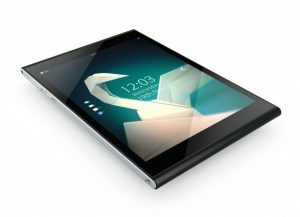 Jolla later concentrated only on Sailfish OS, and last October’s Sailfish 3 release was really a big thing for the community. Enough backstory – the first incremental release of Sailfish 3.x.x branch is here and they are calling it Sipoonkorpi. Named after a Finnish (due to the tradition) national park, this particular bugfix release bears the version number 3.0.1.11. Initially available on 7th January 2019 for early access subscribers only, general release are started since 16th. Apart from Jolla devices and Sony Xperia X and XA2 family of phones, the community baked Gemini PDA from Planet Computers has got preliminary official support as well. Being a bugfix release, not many new features are introduced, but some of them are worth mentioning. A new firewall mechanism based on trusted iptables is now here, albeit without GUI. HWC2 graphics support for XA2 and future devices is another great improvement. 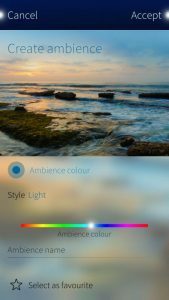 Sailfish OS is always praised for its unique visual aesthetics, now users can generate their own light ambiences using pictures from gallery. Systemwide blur support is added too. As for known issues, users may face possible network glitches due to the firewall implementation. Some Facebook hiccups are there too, that may force you to be ‘unsocial’. For a detailed list of generic and device specific issues, see here. Readers are suggested to go through the announcement thread to get a clear view about this particular update. If you need instructions on how to update your Sailfish OS powered device, take a look here.